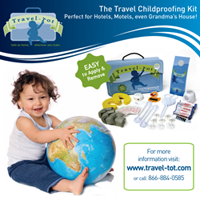 Travel-Tot: Big Family Fun on a Small Budget! Big Family Fun on a Small Budget! With the recession in full swing, families are getting creative; finding ways to escape the mundane by taking "staycations" and "facations!" What, you may ask, are staycations and facations? According to several families we spoke to, they are budget-friendly alternatives to traditional getaways! allowing time for spontaneous activity (bowling, movies, skating, family game night, etc.). The "facation" usually has a slightly higher pricetag, but is still far more reasonable than a traditional vacation, especially if you take the time to research such sites as RetailMeNot for great coupons and discounts! Facations generally include at least one overnight stay at a local hotel or motel, and most of the facationers we spoke to mentioned that they looked for amenities such as an indoor pool, room service, spa, or onsite restaurant. The facation is a way to indulge and escape the trappings of home, if only for a night or two, and to enjoy the luxury of a meal out, a dip in the pool, or maybe even a spa treatment! The facation is a popular add-on to the staycation, especially in cold weather months when access to a pool is a true novelty! Like a traditional vacation, an alternative escape should be carefully planned; ask all family members for ideas, with the understanding that not all ideas will necessarily be feasible. Budgeting for a facation or staycation is also important; decide ahead of time where you want to use your available funds (a movie, a meal out, sightseeing, a family activity, etc.). Once you have these details nailed down, get to work planning your adventure! Remember, no matter what your budget, with a little research and creativity, your family can enjoy a great escape together making fun memories that will last a lifetime! Boutique of the Week: Magic Beans! Destination - Great Wolf Lodge, Poconos, PA!